I was recently looking at some of my photos of the Tall Ships Festival at Halifax and found these photos of the Concordia. The Concordia was the training ship for the Class afloat, which is based in Lunenburg. Last February, she sank off the coast of Brazil. Thankfully, everyone was rescued. The Class Afloat was left without a training ship, so the students returned to Lunenburg to continue their studies.. I have just been reading that ‘Class Afloat’ has found a new sailing ship to continue from September of this year. 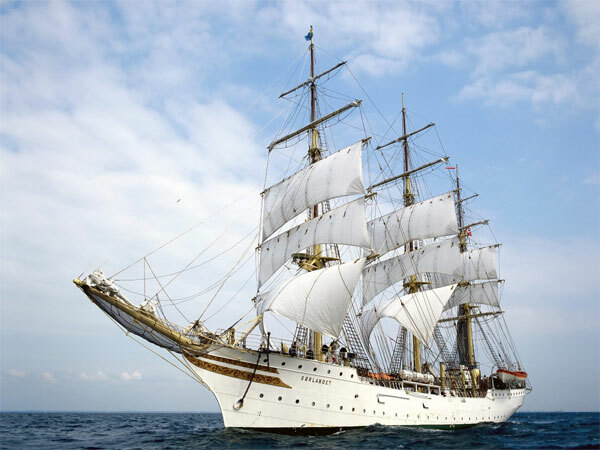 They will charter the Sail Training Ship, Sorlandet, of Norway. 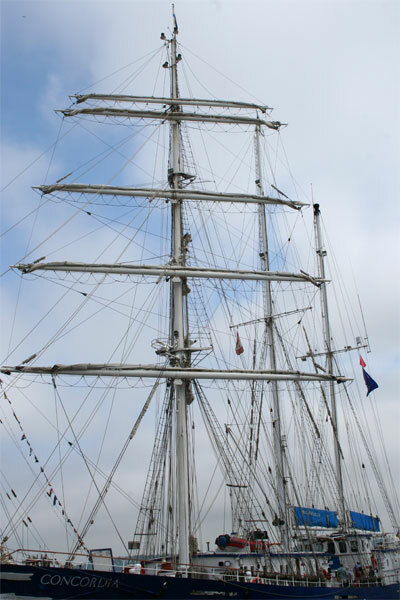 The Sorlandet, a fully rigged ship, is one of the true jewels on the Sail Training stage. Larger than the Concordia and rigourously maintained, she is Norwegian flagged and classed. She offers us the classroom and accommodation capacity that will serve our programme perfectly and she is certainly one of the most beautiful tall ships in the worldwide Class A fleet. We will post, shortly, the layout and equipment details, photos and a short history of the vessel on our web site. This is a photo of the Sorlandet I found on the web. The Sorlandet is one of three tall ships (and the oldest) operated by a nonprofit foundation, controlled and partly funded by the Norwegian Department of Culture. It has a colourful history – it was formerly a navy training ship for young cadets. In 1933 it visited the World Fair in Chicago and in 1986 it crossed the Atlantic for the 100th anniversary of the Statue of Liberty in New York. She was damaged during World War II, and was restored and set sail again in 1948. In 1958 she was equipped with engine and propeller. She was engaged in a film shoot in New York and has performed many cruises between Bermuda and Boston and throughout Scandinavia and Europe. Class Afloat initially expects to place approximately 45 students per semester and a staff of 15 adults aboard, starting September 5th of this year and embarking from Kristiansand, Norway. The vessel will sail from Norway to Western Europe, into the Mediterranean and on to Northern and Western Africa before crossing the Atlantic to the Caribbean, South America, Central America and Bermuda. 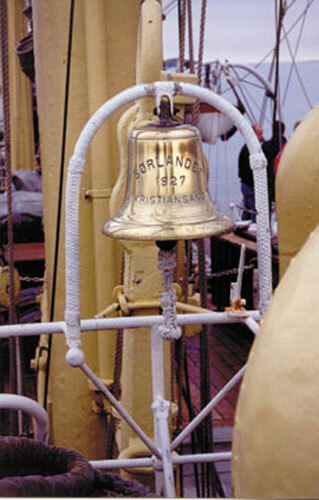 Sørlandet will return to Europe in May 2011. Unfortunately for us folk in Lunenburg, it doesn’t look as if we will get a glimpse of this beautiful ship. What a pity that Concordia sunk. So interesting to read Your text here, I am very inspired. I love those tall ship and until last summer I really did not know so much about them. I only knew “Suomen Joutsen” which is our pride. 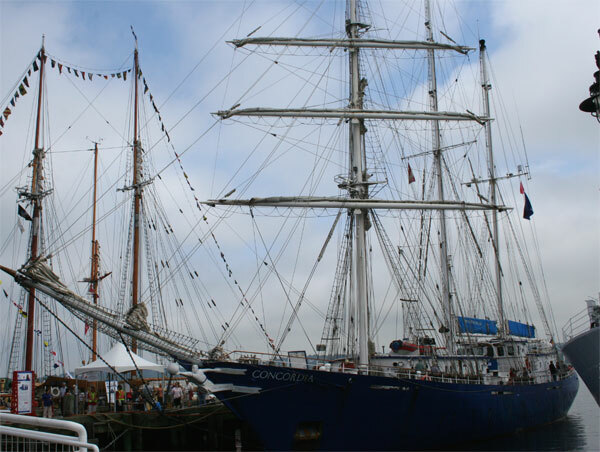 It is a pity that this summer tall ships are not visiting in my country. Sørlandet seems to be a real beauty.